"BGU and Rafael Collaborate on Cyber Defense"
Digital Journal – The U.S. has prioritized research into quantum computing in order to push forward advances in fields like medicine. 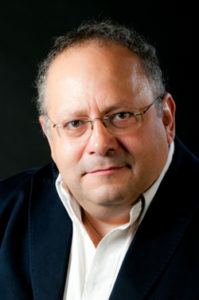 However, the quantum world presents new risks for cybersecurity and encryption, according to Professor Shlomi Dolev, head of BGU’s Frankel Center for Computer Science, former dean of BGU’s Faculty of Natural Sciences and the founder of Secret Double Octopus, among many other startups. The end of 2018 saw Trump signing a legislation to boost quantum computing research and development. The National Quantum Initiative Act will authorize $1.2 billion over five years for federal activities aimed at boosting investment in quantum information sciences, signifying its importance in the future of national security. While the quantum approach is particularly well suited to certain types of tasks, there are risks where a powerful quantum computer could conceivably crack the code that currently protects secure communications and financial transactions. This means there is an urgency to develop post-quantum encryption protocols in order to protect national security. To gain further insight into these risks, Digital Journal spoke with cryptography expert Prof. Dolev.